Today, RailYatri is the trusted travel companion for more than 24 lakh travelers. Our growing user count makes us believe that we have been successful in delivering the promise we made to our users. Like a caring family member, we have always tried to zero-in on your travel problems and remove those tensions with our simple features. One of the basic concerns for every Indian train traveler, over the decades, has been related to the inferior quality of food on train. Most people are forced to have unhygienic and non-tasty meals during their journeys. And just when the train travelers had lost hope of any improvement and taken this problem in their stride, we decided to plunge in. We took a note of this problem and launched our Meals on Train feature. A couple of years down the line, we have every reason to believe that we have succeeded in providing a good food on train experience to travelers through our deliveries. The last six months have been hectic and yet satisfying for our food on train delivery team. During these months, we have successfully delivered 3.13 lakh orders to passengers passing by five leading stations of India. These growing numbers testify to our ever broadening reputation as the leading, quality food provider in train. In fact, our team of food experts are always after ensuring optimum level of satisfaction with each delivery. While delivering fresh, hygienic and non-spicy food to our users has always been the pillars of our Meals on Train service; we also care about the personal food preferences of each customer to make him/her happy. Success for us does not happen by co-incidence. 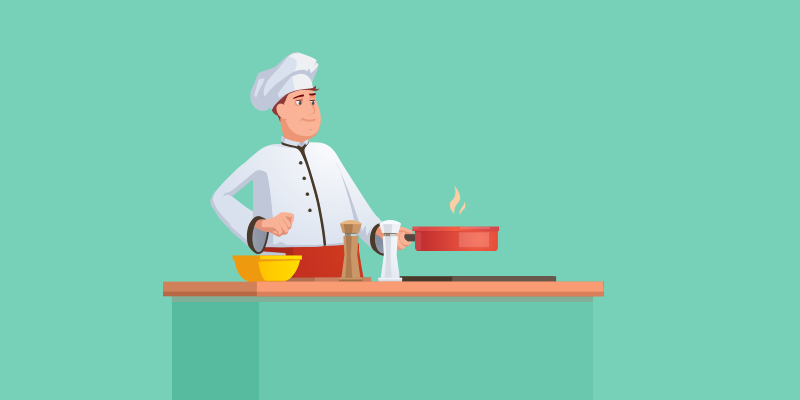 A lot of hard work and research goes into preparing the perfect meal for you. When you place an order with RailYatri, our food experts make it a point to understand your food preferences and the taste you like. Whether you like some extra salt, a bit more sweet or you want less spice – our food experts believe in understanding what the ideal meal would taste like, for you. Today, you can order the best meal on train, from most stations around the country by tapping away at the RailYatri app. 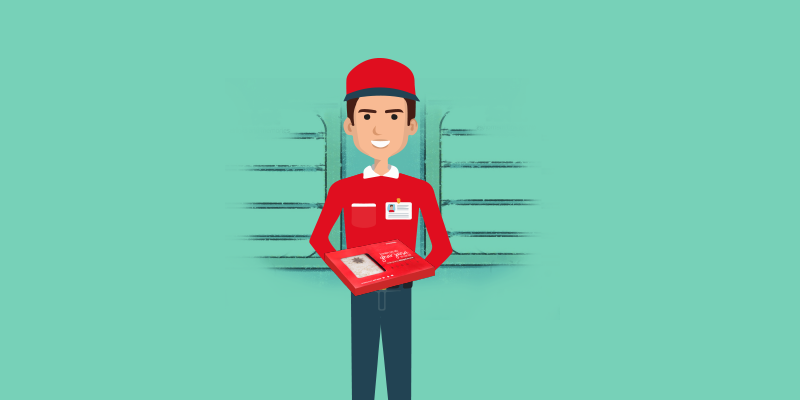 And trust us, before your train chugs in to the station, our delivery guy would be waiting with the delicious, tightly packed and hygienic food in his hand and a smile on his face! A bit more of numbers crunching and we found that RailYatri users prefer our handpicked Thalis, over individual dishes. Logically then, in the last 3 months we have delivered more than 1.2 lakh Thalis to our users! So, what is it that the users like in our Thalis (apart from them being easier to select and order)? Well, our Thalis were not created at random, we analyzed the ordering trends of millions of users and picked up the most ordered dishes to craft a Thali. And that is our secret to winning your hearts. 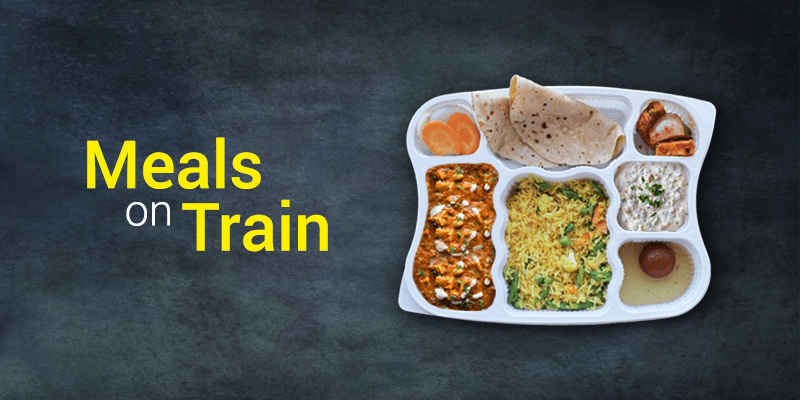 Over the last 3 months, Veg Thalis have been the Stars of RY Meals on Train. And among them, these are the Superstars. 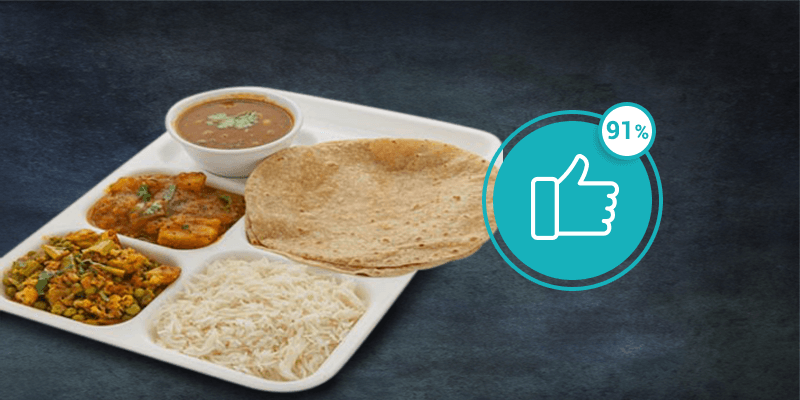 Over the last 3 months we have delivered more than 9,100 Special veg thalis to our users, and that count makes it the best-selling RY Food Thali. So, the next question on your mind would be: what do we serve you as a part of the Special Veg Thali? So, here is the answer. You get to taste the all-time favorite Paneer Butter Masala, along with a tasty preparation of Seasonal Veg dish. We also serve Dal Fry or Dal Tadka along with a satisfactory quantity of Chapati and Rice. Salad and Pickle come as add-ons. We like your meals to end on a sweet note, so we deliver a special sweet or chocolate too. Second on the popularity list is our sumptuous Mini Veg Thali. Taste this thali and you will definitely not miss the essence of home cooked food. In regards to its ingredients, the Mini Veg Thali comes with a serving of Dal Fry along with delicious Seasonal Veg dish. You would have satisfactory quantities of Rice and Roti to satiate your appetite. To bring in some spice to the meal we have also included Pickles and Salad. The word “Deluxe” strikes a chord in the minds of our food loving users. 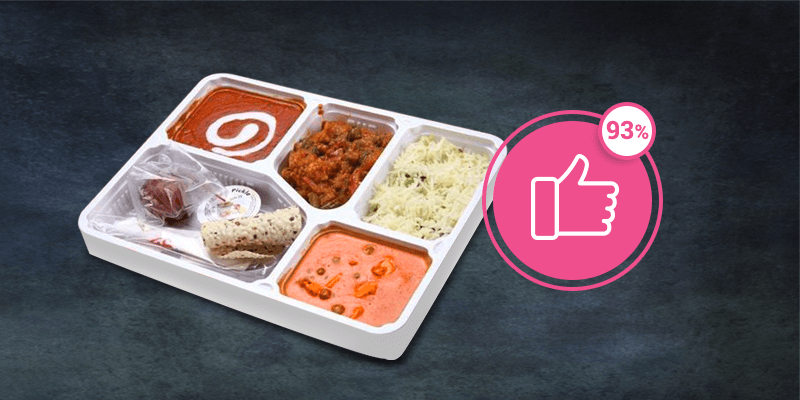 So, it is logical to tell what you can expect from a Deluxe Veg Thali. Coming with a mouthwatering Paneer dish and accompanied by Seasonal veg dish as well as Dal Fry; you can gorge onto Jeera Rice along with Rotis as well. Of course we would complete the thali with Salad and Pickle. But it is not done yet – for we have a Special Sweet to satiate your sweet tooth. Every third traveler orders this fulsome combo meal. 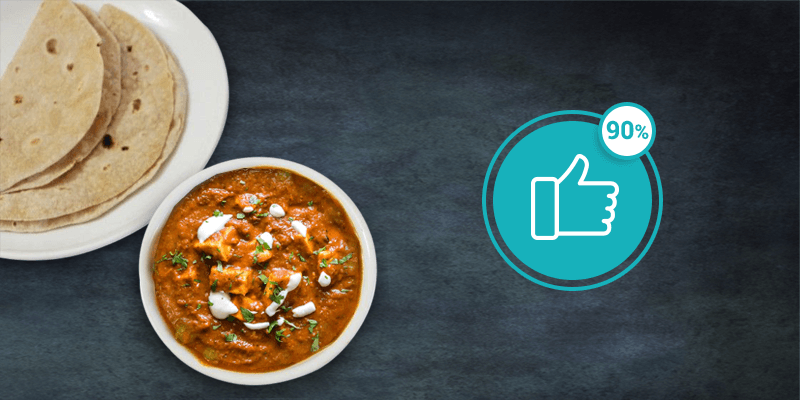 Paneer Butter Masala is an all-time favorite dish and our users can’t have enough of it. Unlike the Paneer Butter Masala you might taste at the roadside stalls, this is not too spicy making sure that your stomach says “I like it!” Couple the thick gravy of Paneer Butter Masala with some large sized Chapatis garnished with Butter; and you have a meal to crave for. If you are among those RY users who find Rice to be a better meal than Rotis or Chapatis, then this Combo is perfect for you. 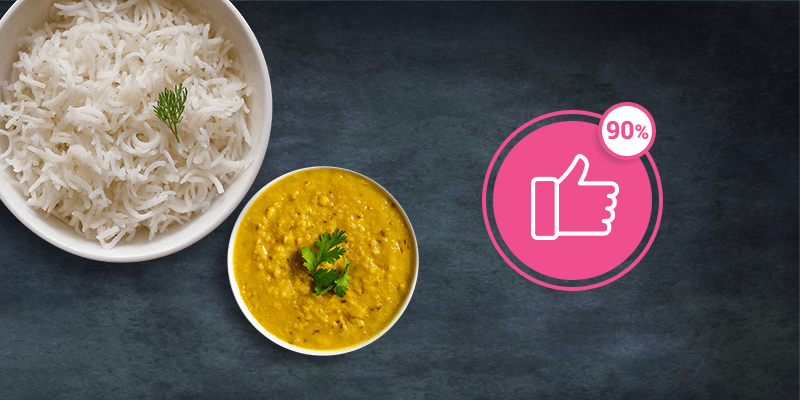 Our simple and budget friendly Dal-Rice Combo is meant for users who want a home-like food while travelling. Try this combo meal and it will surely remind you of the Dal-Rice cooked so lovingly at your home! 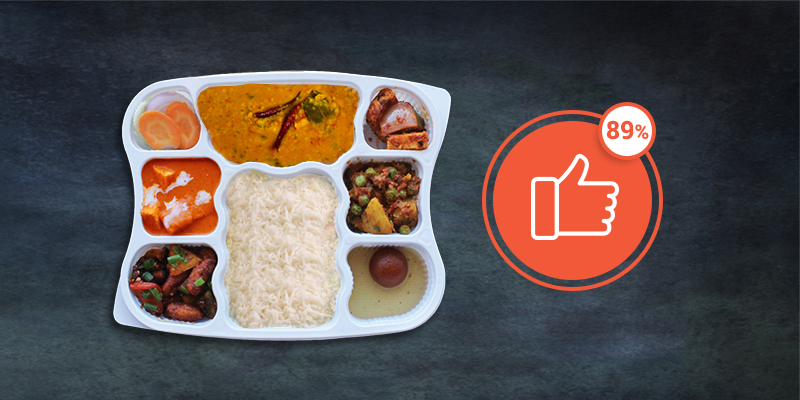 So, the next time you travel do try out our hot-selling Thalis and Combo meals on train. Want to order, right away? Then click here. Previous articleYour app now speaks your language!